Stay and play where the pros play. 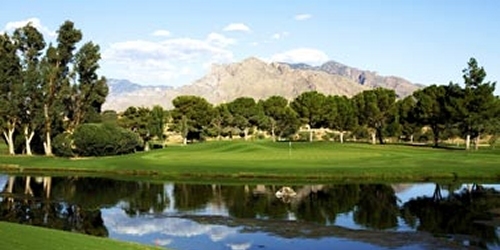 Get the full tournament experience at the Tucson Conquistadores Classic, a PGA TOUR's Championship Tour event. Package includes exclusive access to the Champions' Suite on the 18th Green, VIP area and Conquistador Club and enjoy daily breakfast, luxury accommodations and more. Access for two (2) to Conquistador Club - a lively sports bar setting located near the main entrance with surrounding outdoor patio, beer garden and large screen TVs throughout, Art of Breakfast buffet daily in Fiesta, $100 credit to be used in The Spa or dining credit valid in Legend's or Bob's. Omni Tucson National Resort reserves the right to change price and offer at anytime. Prices and offer are subject to change without notice. ArizonaGolfer.com is not responsible for errors posted in this golf package.